According to the oldliturgical order the Marian Antiphony Salve Regina was sung in the time span reaching from Sunday of the Holy Trinity to the Feast of Christ the King. 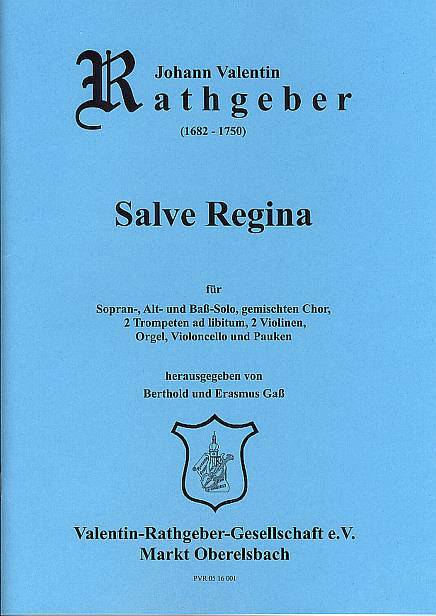 The actual Salve Regina in C consists of two movements. It is written for a choir of four voices and for soprano, alto and bass solo.